Seymour Duncan have leaked some information about the new 8-string Blackout pickups. 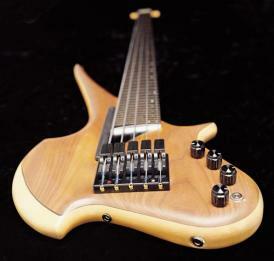 This is great for the growing trend of 8-string guitars. We here at Gear-Vault have been reporting news about Schecter Guitar Research announcing 8-string guitarsbefore the NAMM show–Schecter BlackJack ATC-8 limited edition guitar comes with 8-string Blackouts installed from the factory. Read the presser below. . .
Presser–When six strings seem too conventional and seven strings still just aren’t enough, Seymour Duncan announces the release of the latest version of our hugely successful Blackouts series, the 8-string Blackouts for 8-string guitars. For the new generation of 8-stringed guitars, 8-string Blackouts provide more headroom while still generating thick and full lows without sounding muddy or dull. Designed from the ground up specifically for the need of 8-string players, these metal beasts contain ceramic magnets for both the neck and bridge versions, specifically voiced for heavy rock with greater dynamic range, less scooped mids, and less compression than other active pickups. 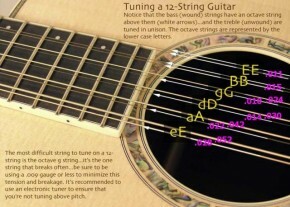 For anyone who has tried to record using an 8 stringed guitar, the biggest complaint has been that most pickups deliver a thudy sound, chopping off the dynamic range. The results can be clearly seen, like a “flatline” effect in the recording wave. 8-string Blackouts allows each register to have its own character, like you expect from any six string sound, but now with deeper bass lines and no flat-lining. It simply allows the player be more expressive. The industry agrees that 8-string Blackouts are clearly an improvement, evident by the fact that many guitar makers like Schecter Guitars, who are delving into the 8-string guitar world, are offering the 8-string Blackouts. Their latest, offering the Schecter BlackJack ATC-8 limited edition guitar comes with 8-string Blackouts installed. Like the full line of Blackouts, the 8-strings provide a tone that sounds less compressed with a more extended frequency response. Blackouts active humbuckers are up to 14dB quieter than the competition, but they also have more lows, more highs, and more output. Blackouts 8-string are designed to direct retrofit any 8-string electric guitars and are available in individual neck and bridge models, or as a two-pickup set. All versions come with all necessary mounting hardware, including pots, jack, and a battery clip. One question, how much are they? Check for price. Hi, Gear-Vault is a review and music gear research website. We’re not dealers. Maybe try your local music store or guitar-center. Good luck!